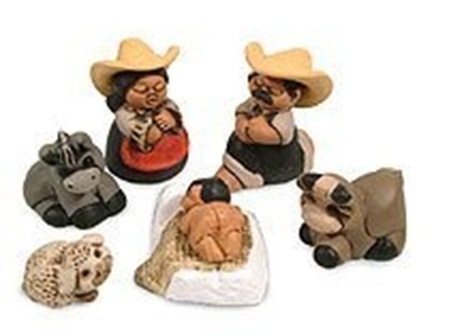 you’ll probably think, “Gee, Maybe the quasi-pagan traditions of the Christmas season aren’t so toxic to our spiritual values after all.” As a matter of fact, you may want to buy some air blown Christmas hippos after you work your way through all these questionable nativity scenes. Merry Christmas!! The Pigs of Christmas Past? This may not make sense to people who aren’t from Iowa. Trust me…I married into Iowa. Christmas pigs make perfect sense. 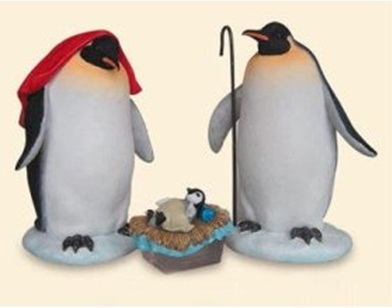 The role of penguins in the Lord’s birth has been under emphasized…until now. Gifts of walrus blubber and frankincense were much appreciated. My dad had a saying about a Christmas goose. But I won’t say it here. 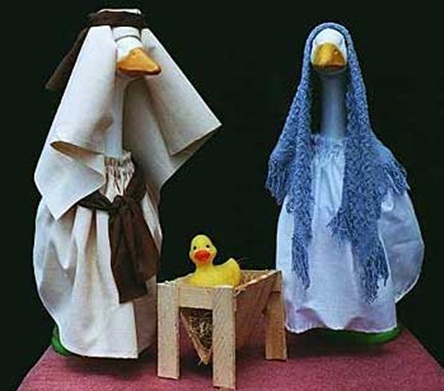 I just struggle with the idea of Baby Jesus being a rubber duckie in the manger. 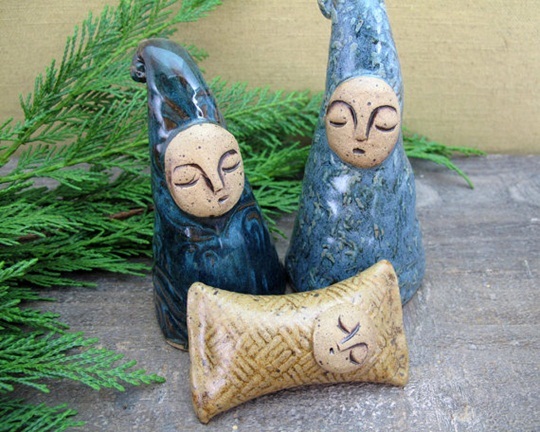 Yes, these are Christmas owls. 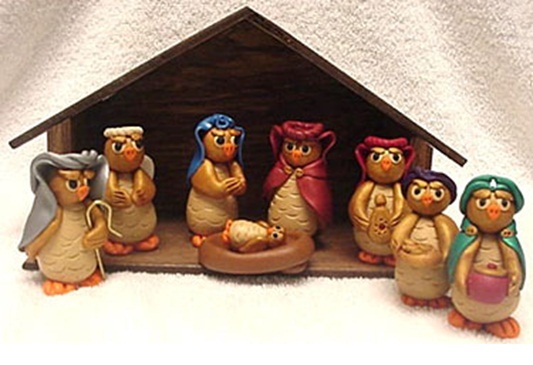 What do angry owls have to do with Christmas? I dunno. Looks like they’re real unhappy about being an endangered species. That would upset me too. 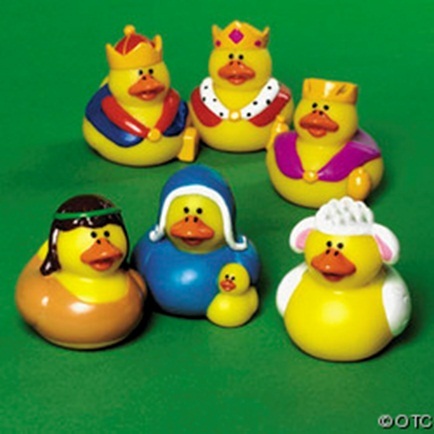 Speaking of rubber duckies in the manger…this all rubber duckie nativity is great for keeping the Christmas story in front of the kids even in the bathtub. 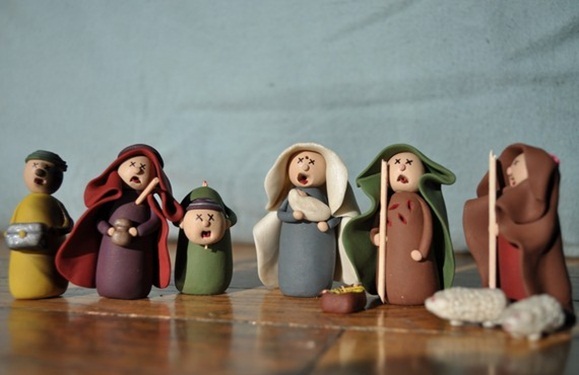 They don’t sink like a snow globe or leave a ring like the butter nativity. Git-along-little-doggie Christmas. I am not totally comfortable with the Baby Jesus mooning like this. 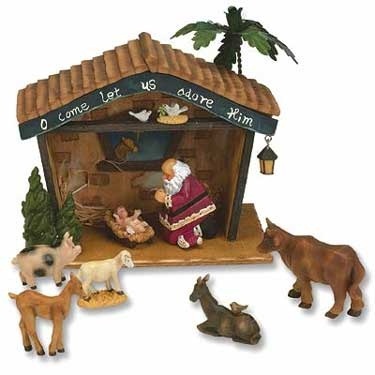 The cow maybe…or the sheep…anyone but Baby Jesus. 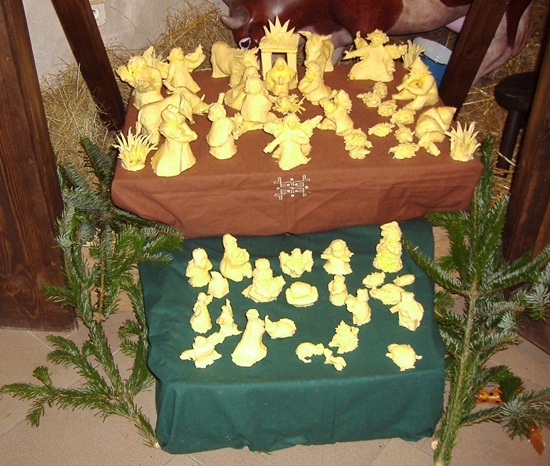 Butter ball Christmas figures. Wow. The only thing more impressive than butter sculpting would be lard sculpting. 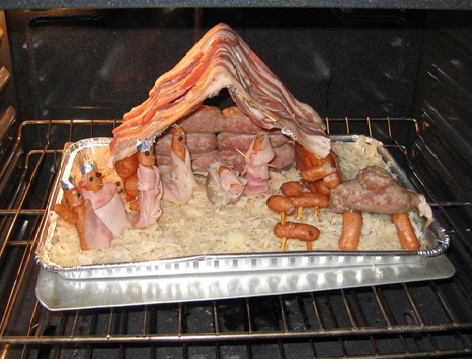 But really…this section is way too heavy on the pork nativity themes. 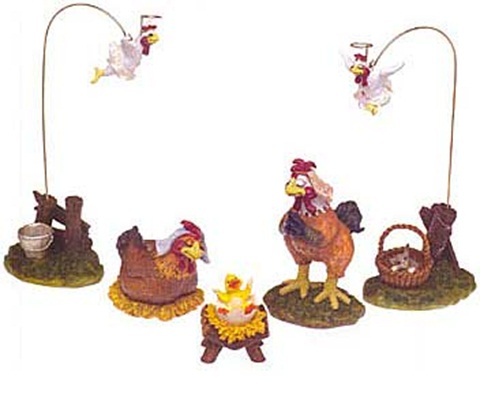 Now folks…you know I love chickens. I own chickens. But chickens don’t need a savior. Chickens are not cute like Godzilla or rubber ducks or aliens. Chickens are poultry. We have to draw the line somewhere. And the line is at chicken holy family. How cute is this one? Creepy and inappropriate…but not cute. Dang. 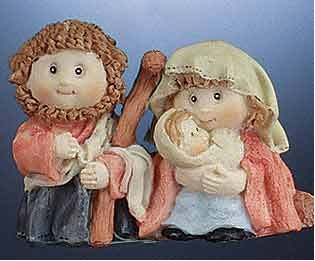 Six year old Mary and Joseph with a baby? Stop it Precious Memories. Dang. 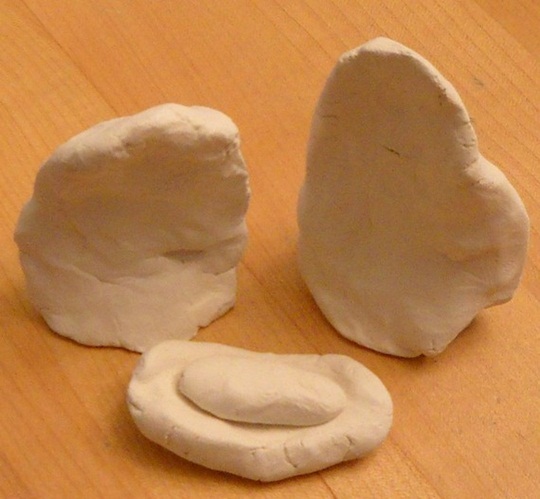 Well, here we have the minimalist dough blobs nativity scene. Simple and serene. Looks kinda like a kid’s art project that wouldn’t stick to the refrigerator door. Even after someone threw it against it several times. Christmas aliens. Very creepy to think that aliens may have abducted our Christmas story. Jesse Ventura is looking into it so rest easy. Smores of Christmas. 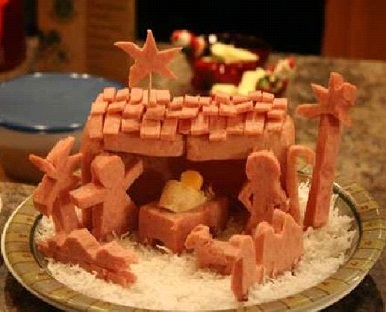 I am just glad the campfire theme didn’t include a roasted weenie nativity. Christmas zombies? Well, yes. In keeping with our societal value of inclusiveness, why shouldn’t the undead receive some recognition? Spam. The meat product of royalty. Now you know why Santa has that belly that shakes like a bowlful of jelly. Too much Christmas spam. Hobbit Christmas. Having failed five times to watch The Lord of the Rings from start to finish, I cannot tell you why Joseph has a big club and berber carpet for hair. I defer to Tolkien lovers to answer these weighty questions. 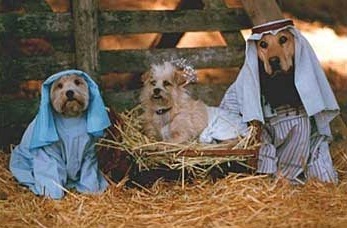 Now we know the truth about who brought the gifts to the Baby Jesus. Wise men from the east? Nope. It was that jolly old elf…Saint Nick. Looking for some milk and spam in the stable. Depressed teddy bears make such good statement for the kids at Christmas time. 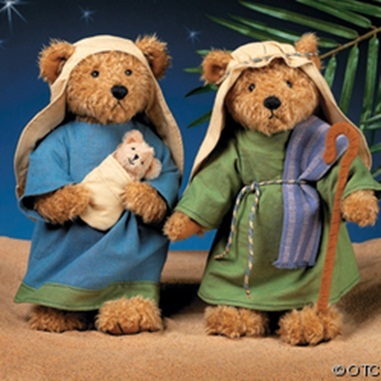 Goodness, somebody talk Mary and Joseph Bear off the ledge. This has Christmas tragedy written all over it. Godzilla Christmas? I think not. 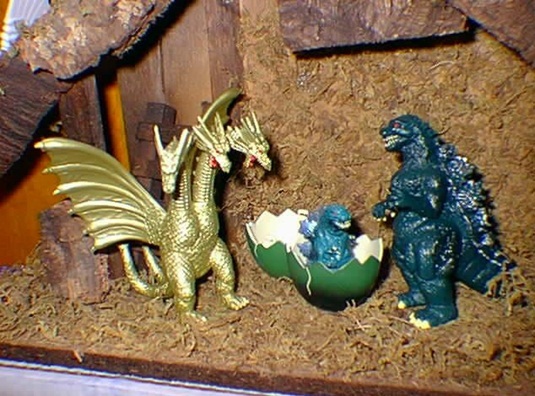 Those of you who know Godzilla know that he would never get together with Ghidorah, the Three-Headed Monster. Godzilla whupped Ghidorah, the Three-Headed Monster in the 1964 movie Three Giant Monsters: Earth’s Greatest Battle. It is not okay to mess with Japanese history like this. Not on my watch. 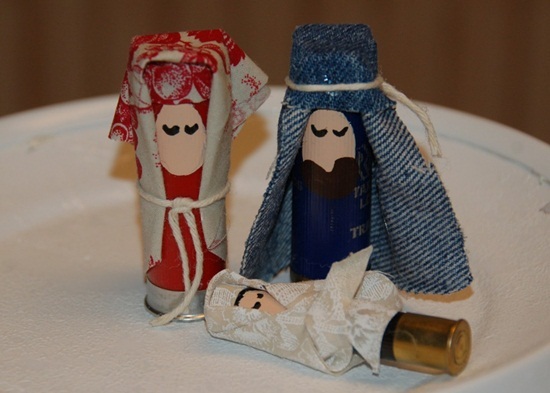 Shot gun shell nativity. Back in Montana…this is truly a heart warming scene. 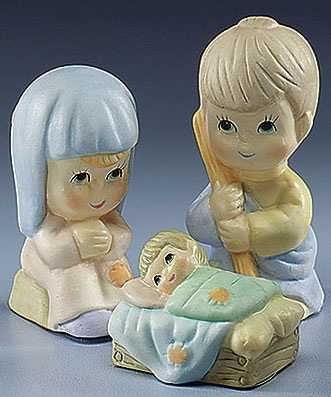 Twelve gauge Mary and Joseph…410 gauge Baby Jesus. Pure genius. The Holy Snow Family. 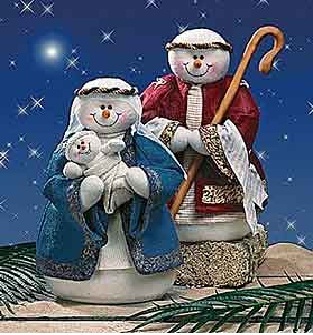 Wait a minute…looks like Joseph and Mary are wearing a couple of 1980’s Olivia Newton-John exercise headbands. Nice. 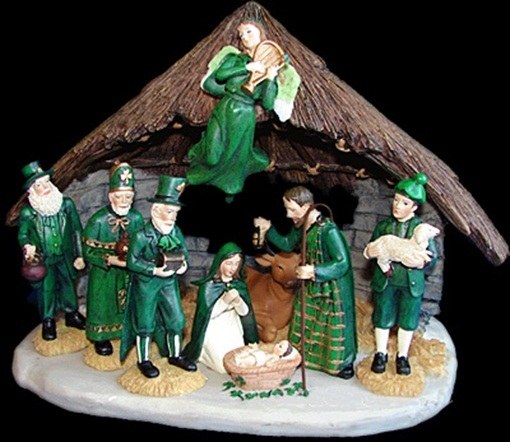 The Irish should have their own Christmas. I believe the Wise Irishmen are bringing a box of Lucky Charms to the Lord. Joseph receives them with gratitude because as we all know…they are magically delicious. 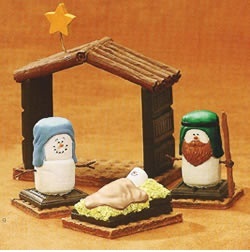 Well, this isn’t a nativity scene but it’s a pretty bizarre Christmas ornament. Yep. 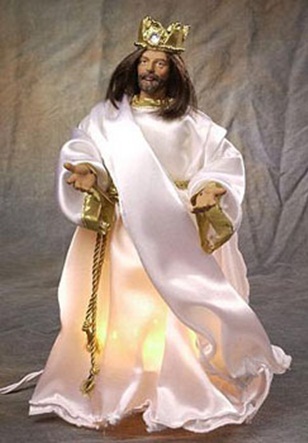 It’s a psycho hippie Jesus tree topper. Baby Jesus grows up and becomes a pothead? No!